Daisy Lee guides you through a series of effective anti-aging qigong forms that balance women’s physical, mental, and emotional health. DVD 2 in the Radiant Lotus Qigong series. International qigong teacher Daisy Lee guides you through a series of effective anti-aging qigong forms that balance women’s physical, mental, and emotional health. Qigong (energy cultivation) has been used for centuries to boost immunity, reduce stress, and cultivate inner peace and well-being. These time-tested methods will rebalance your hormones and organ systems to help you feel great. Radiant Lotus Women’s Qigong has helped thousands of women around the world to revitalize immunity and vitality. Perfect for beginners and women at all stages of life, this follow-along routine is like a master class in your living room. The movements are simple to follow and can be done sitting or standing. 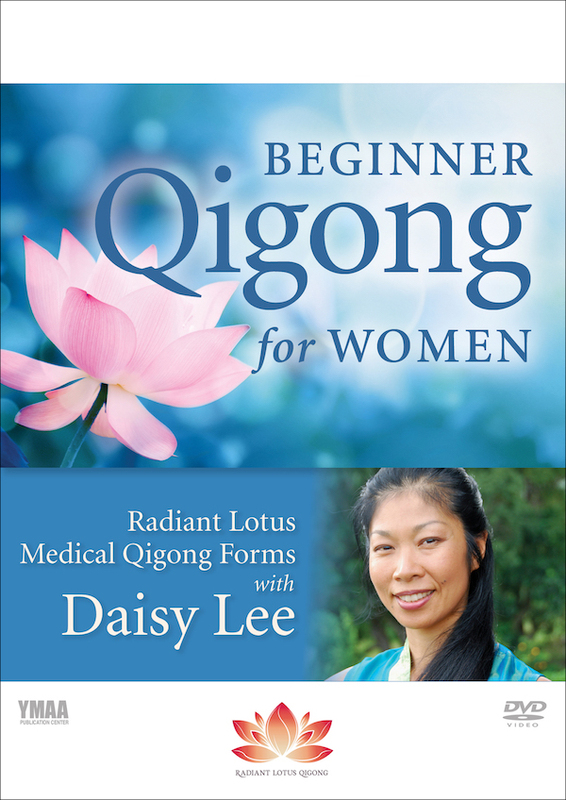 Radiant Lotus Women’s Qigong was created by Daisy Lee after years of study with several qigong masters specializing in women’s health. This medical qigong supports holistic self-care and healing of menstrual and hormonal imbalances, benign breast and uterine tumors and cysts, fibrocystic breast disease, emotional ups and downs, menopausal symptoms, memory loss, loss of bone density, and numerous other women’s health issues. Renew your health and vitality using these empowering self-healing tools by Daisy Lee.